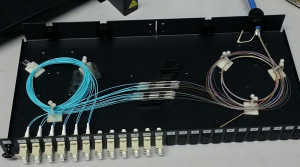 Fiber optic patch panel is also called fiber distribution panel. 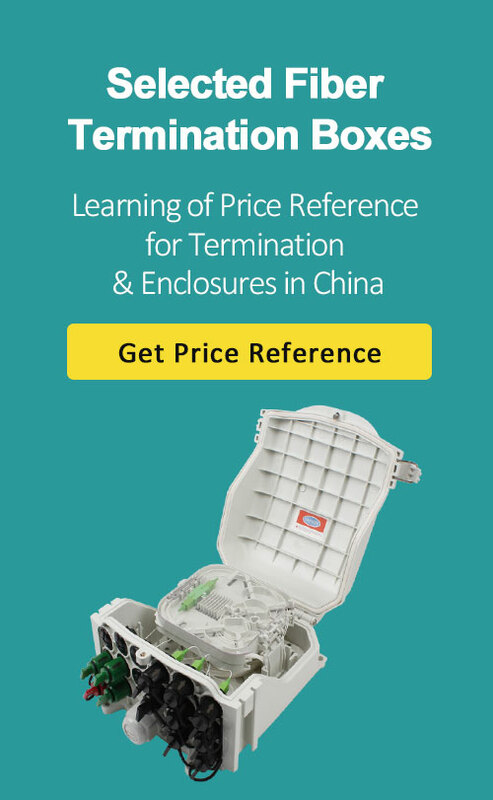 Its main function is to terminate the fiber optic cable and provide connection access to the cable’s individual fibers. 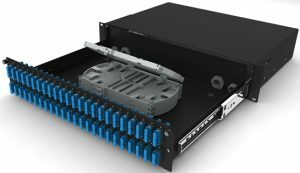 Fiber patch panels are termination units, which are designed to provide a secure, organized chamber for housing connectors and splice units. 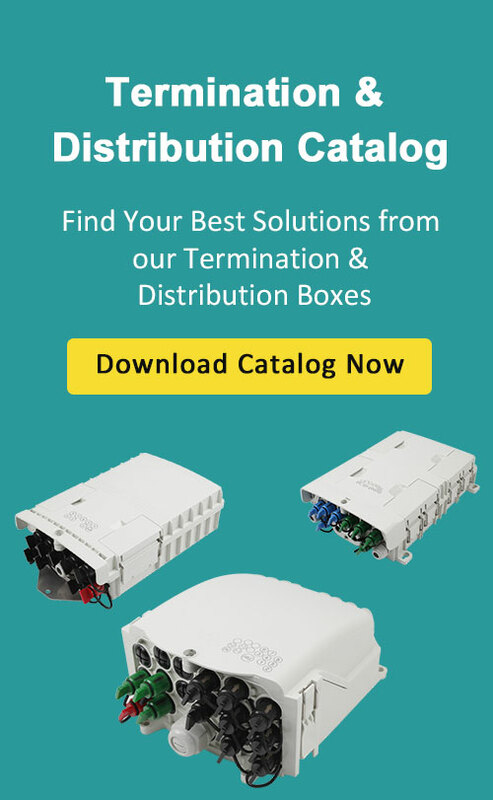 ODF is mainly used for fiber optic terminal splicing, fiber optic connector installation, optical path adjusting, excess pigtail storage and fiber optic cable protection. When cable enters into the rack, ODF should mechanically fix the cable and install the ground wire protection. 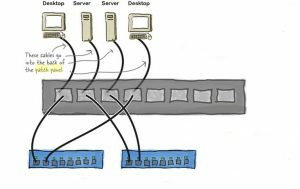 Fiber optic cables will also be divided into groups for better management. 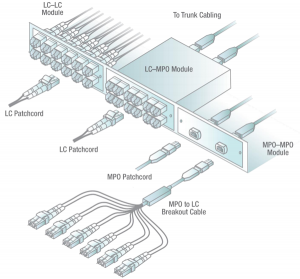 When we talk about Optical Distribution Frame VS Patch Panel, It seems they are quite different. 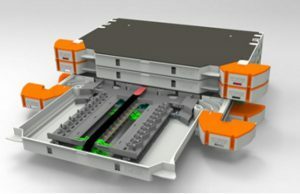 The truth is that Optical Distribution Frame (short for ODF) often also called as fiber optic patch panel which is designed for fiber optic communications center room to develop fiber optic wiring devices, cable fixing and protection features fiber optic cable end of contract function, line control function, fiber optic cable core, and fiber optic pigtail protection function. 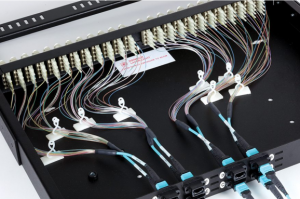 In simple terms, fiber optic patch panel’s function is to terminate the fiber optic cable and provide access to the cable’s individual fibers for cross connection. 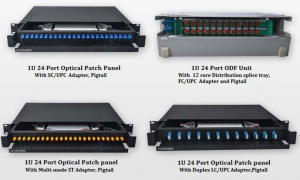 Fiber optic patch panel, or cross connect patch panel, is usually a rack mounted termination unit containing an assembly of port locations in a communication. 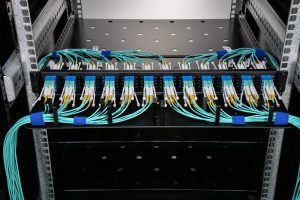 Fiber patch panel is used to terminate the fiber optic cable and provide access to the cable’s individual fibers for cross connection.